Suzanne began her career in mortgage services. However, she has spent most of her time owning and operating a successful retail gift shop. Her primary mission is to provide exceptional service to our clients. She really enjoys working with clients to ensure that they receive the outstanding attention that they deserve. Suzanne is also responsible for the firm's social and educational events. 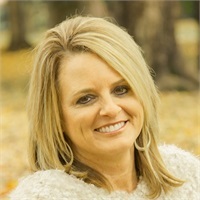 She lives in Georgetown, KY and enjoys spending time with her three beautiful daughters. Her free time is spent with family and traveling.